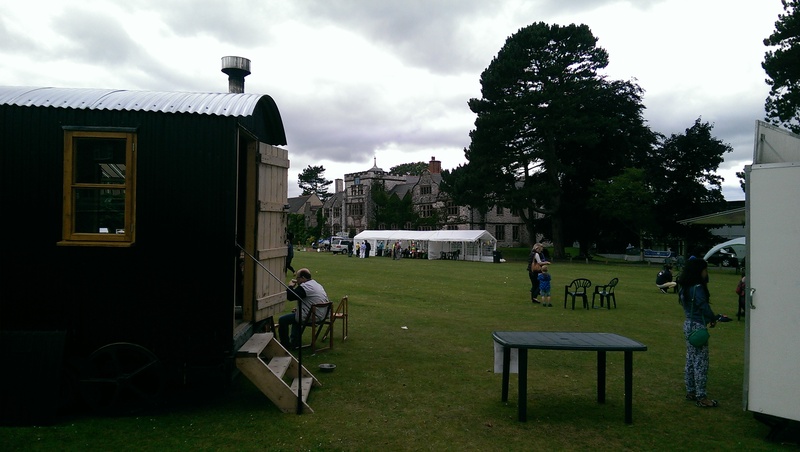 For the first time the annual Ruthin Carnival was being held on the Ruthin school field, an ideal location for the event. Spread across the field, local stalls and activities had been put on show, with the school building as the backdrop to the event, the Carnival looked great. We had a very busy day in the hut, with little time to take a good look around. The atmosphere was great and we had plenty of customers to keep us occupied. The stage playing music provided a soundtrack for the day and the time seemed to fly by. Before we knew it we were packing up and taking the Hut back to its home. Thursday the 21st of August, another county show was upon us, The Denbigh and Flint show. I arrived at the show at 8:30. All I had to do now was find the hut in a maze of marquees and pop-up stalls; I kept my eyes peeled, until I saw a small chimney poking out of the skyline. A chimney I could recognise anywhere. I arrived at the Hut to find Julie had already set up. The Hut wasn’t in the most ideal of locations, wedged between a Flintshire county truck and a gentleman from Stoke selling outdoor furniture. Busy from the start; it was good to see agriculture still being supported in such a positive way, with visitors and exhibitions from all around North Wales the whole day was great to be a part of. 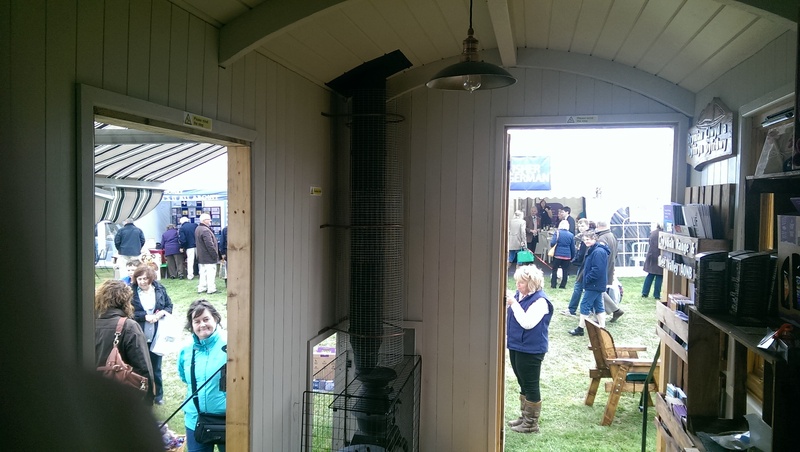 The Hut was attracting attention throughout the day people slowed to a stand to take a peek inside. The pot-belly stove also tempted them in as the weather was quite chilly. The day passed with a lingering grey cloud that always looked to burst any minute, luckily it held itself and even brightened up in the latter part of the day. At 6 o’clock it was time to pack the hut up and move out, we packed up the Hut at usual. Only to notice the end of the Hut that we hitch onto the 4×4 was blocked off by a clothes stall, which made it impossible to move. 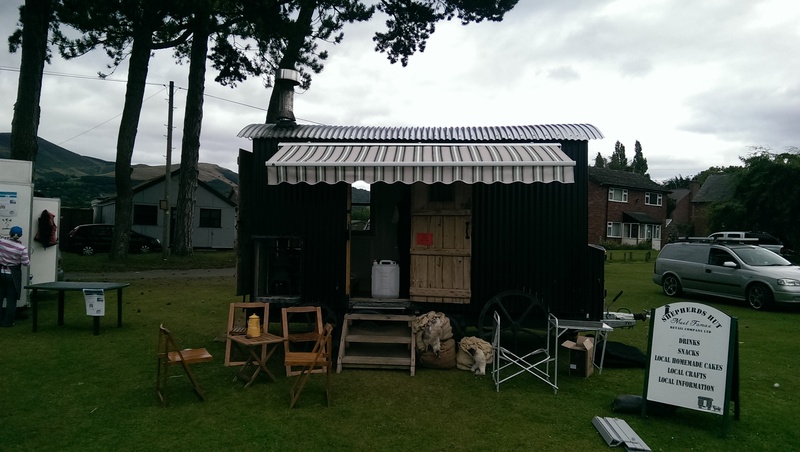 We had come back to the show ground the next morning when the stall had been taken down to finally get the hut.